To use, spread a thin layer of melted chocolate into the mould using the back of a spoon. Turn upside down and place in fridge on greaseproof paper for 5 minutes. Allow chocolate to set. Repeat until desired thickness is achieved. 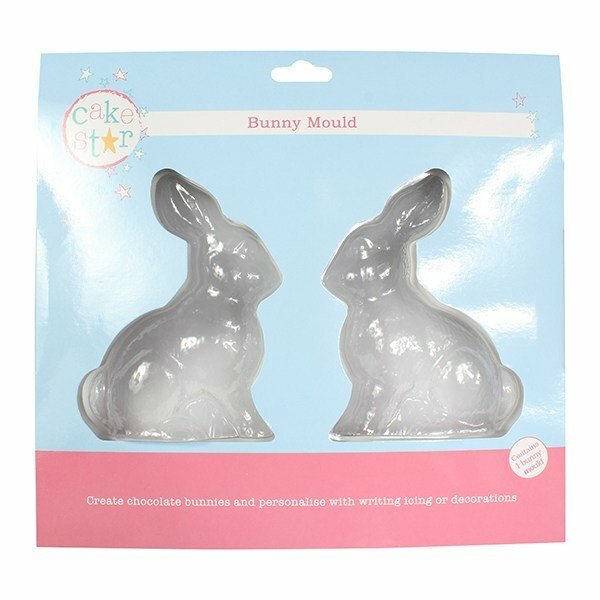 Once set firmly, the chocolate bunny will easily pop out of the mould. To stick both halves together, gently warm the edges of each half until melted and lightly press together. Allow to set.